DOES NOT INCLUDE GAME. RED DEAD REDEMPTION 2 SOLD SEPARATELY. 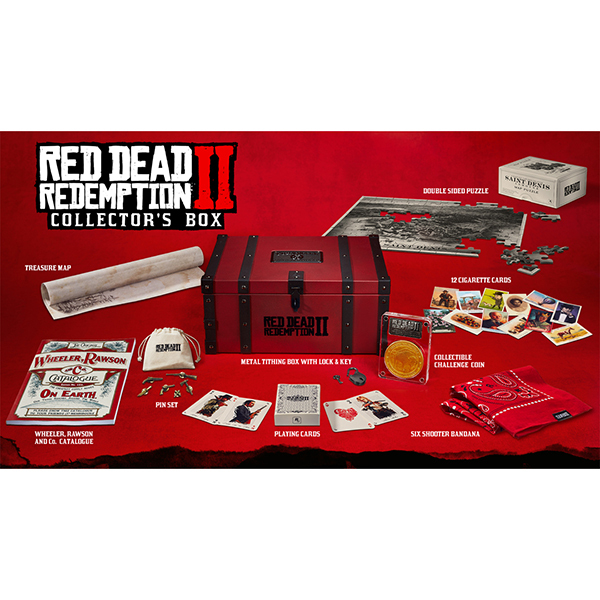 CONTENTS MAY CHANGE; CHECK ROCKSTARGAMES.COM/REDDEADREDEMPTION2/ORDER BEFORE RELEASE FOR FINAL DETAILS. Rockstar Games, Inc. ©2018. Rockstar Games, Red Dead Redemption, and R* are marks/logos/copyrights of Take-Two Interactive. All other marks and trademarks are properties of their respective owners. All rights reserved.